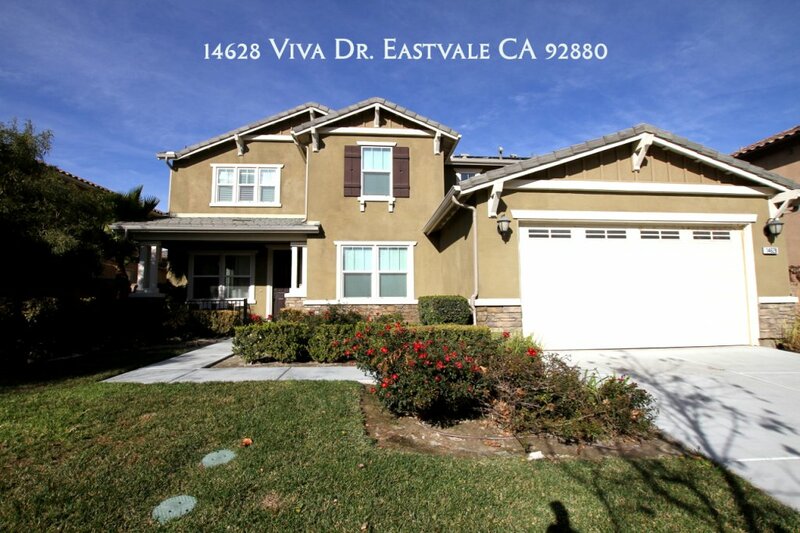 Eastvale, CA 91880 Property At 14628 Viva Drive. Home 1-31-19 Caravan Eastvale, CA 91880 Property At 14628 Viva Drive. Supra eKey at front door. ABSOLUTELY GORGEOUS LUXURIOUS TURNKEY PROPERTY WITH OPEN FLOOR PLAN built in year 2013. It’s time to upgrade to a bigger home! 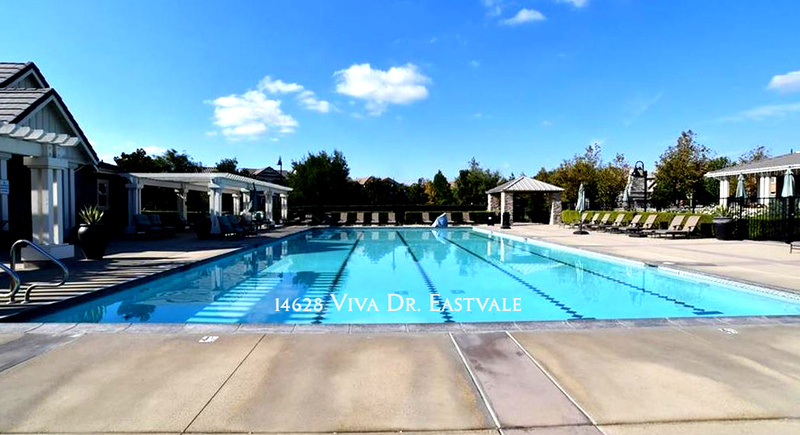 Located at Enclave Master Planned Community in central Eastvale. This beauty features 5 bedrooms 4.5 baths including family room, big dining area that opens to kitchen and living rooms, an additional loft area upstairs that can be 2nd family room. Huge house has approximately 3,600 living SQFT with built-in Solar system. Upgraded tile and carpet flooring throughout. High ceiling with recessed lighting brightens the whole house. Beautiful front garden with flowers and trees. 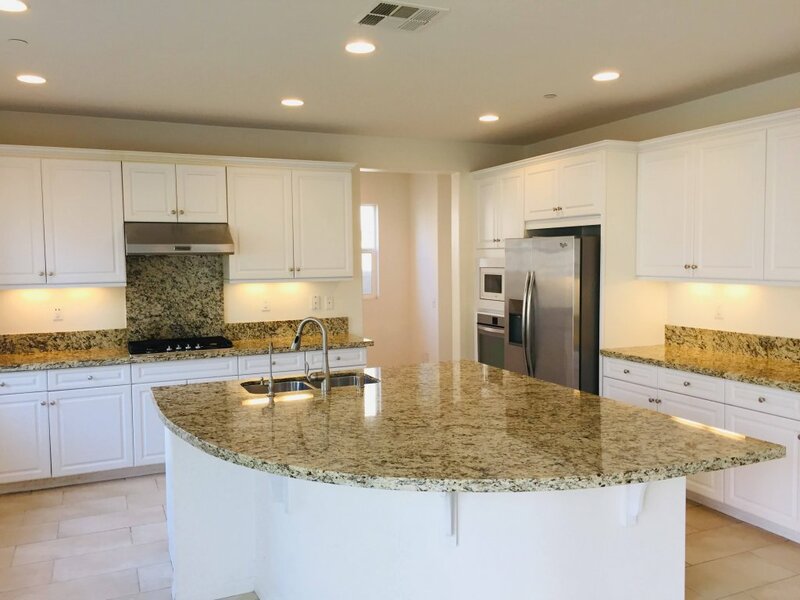 Owner spent over $60k in upgrades including granite kitchen counter top with a big center island, Solar Panel, bathroom tile and vanity. Two community main gates with security cameras to gain access to this beautiful planned community. 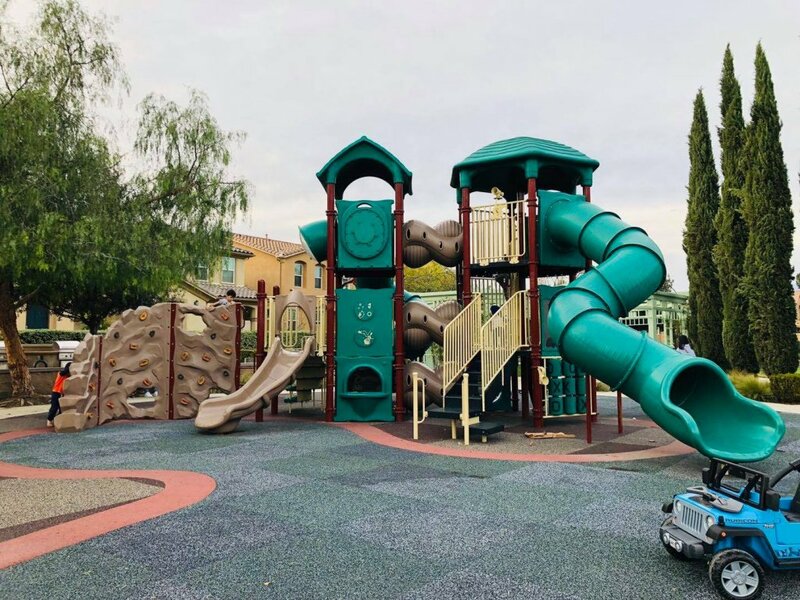 Full amenities with swimming pool, spa, BBQ pit area, picnic park area, 2 playgrounds, basketball court, bike trail, club house…etc. Multiple shopping plazas just outside of the community. Property location is convenient to banks, restaurants, supermarkets, CVS, gas stations, shopping stores and schools. Come visit and make it your dream home!